A 32-year-old woman was attacked with a hammer, then set on fire, left to scream for help as she burned in the hallway of her Upper West Side apartment building, allegedly by her boyfriend Tuesday morning, law enforcement sources say. 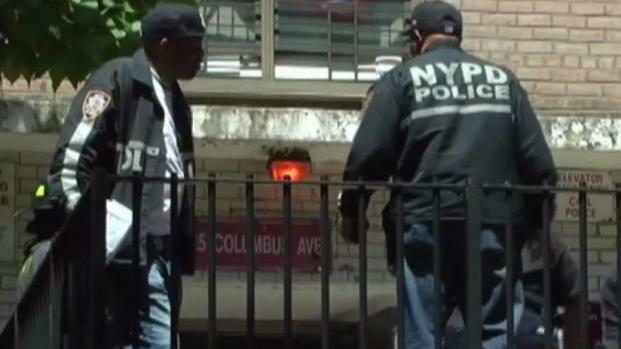 Neighbor Bonnie Chapman said she heard the woman screaming for help inside the NYCHA building at 825 Columbus Ave., and when Chapman opened her door, found her smoldering in the hallway. "This girl was hollering for help, and banging on doors. She banged on mine, and I answered the door," said Chapman. "I opened the door, and there was a lot of black smoke, and a lady on fire, and I just put her out," she said. "I just grabbed my blanket off the bed and just put her out. I just wrapped it around her and patted her down." 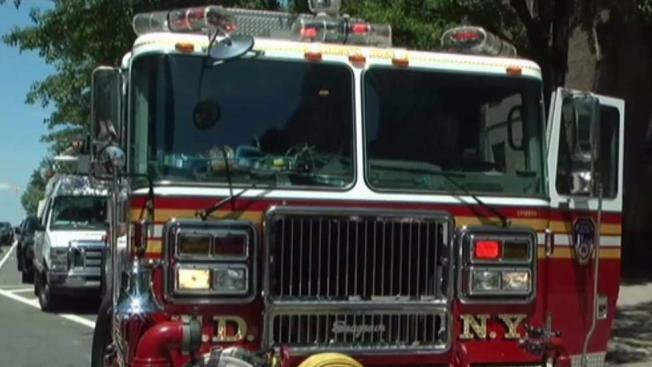 A woman was beaten and set on fire on the Upper West Side on Tuesday afternoon. Ray Villeda reports. Police say the victim had been doused with a substance, then set on fire. She was taken to Harlem Hospital in critical condition with burns to her body. Sources say the suspect is believed to be the woman's boyfriend, who lives in a different apartment in the same building. The man, identified as 26-year-old Larry McGloster, is being sought by police. He was last seen running eastbound on West 100th Street. Crime scene detectives along with arson investigators blocked off the eighth floor where the gruesome attack unfolded.